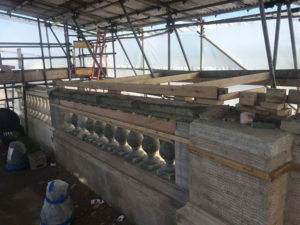 This project consists of a boundary ornate wall on one of Hove’s beautiful Regency Squares. 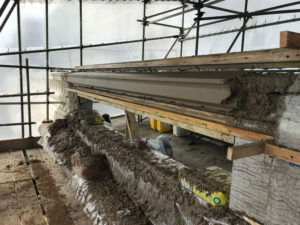 We are given a section at a time to replicate the original wall to reinstate it to its original glory. 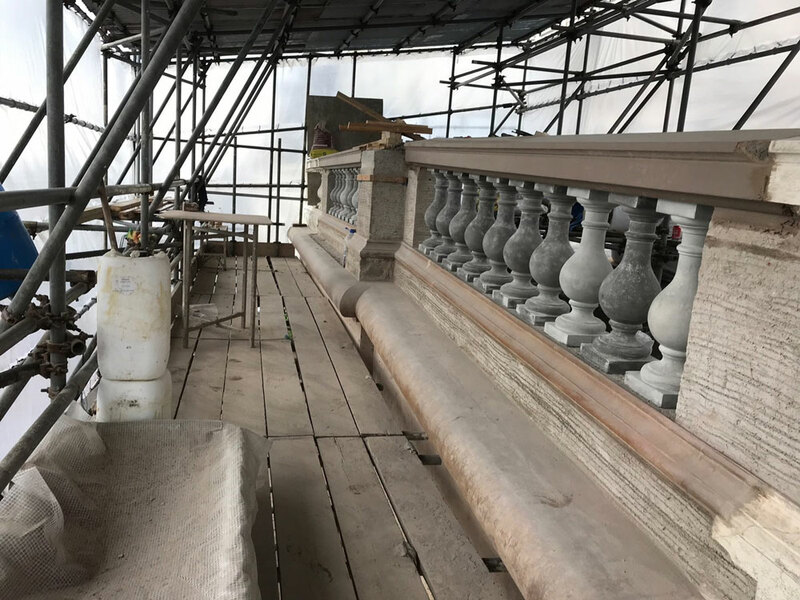 This causes its own problems as over years of being exposed to the elements (on the coast), bad driving (damage), and general repairs, the balustrade area is unrepairable meaning a complete overhaul. 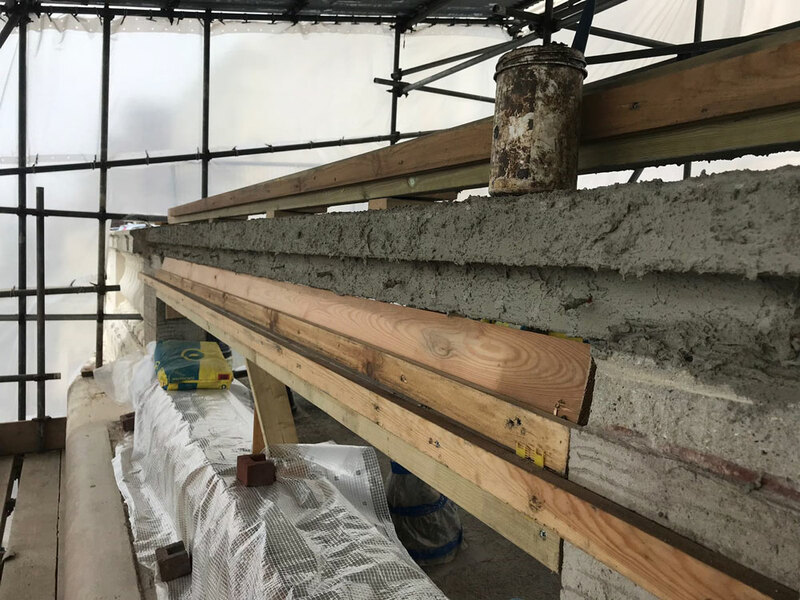 Firstly, we recreate the ornate bottles in our off site workshop, using a fibre glass (which we make from an original bottle) mould; pouring them with concrete and allowing them to set. Then repeat until we have enough. 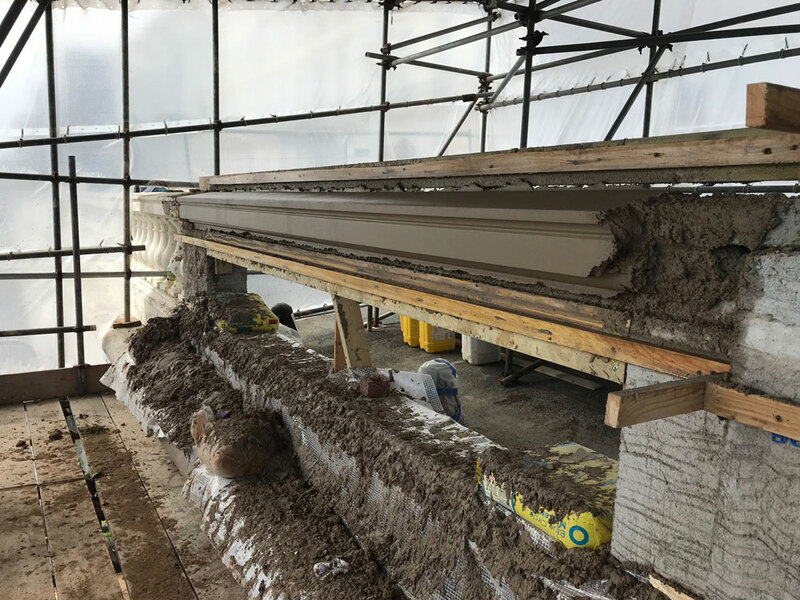 We then remove the original wall and fit a bespoke concrete lintel (also made by ourselves off site). Zink horses are made and we begin to core out the capping before fitting the bottles. The mouldings are then run with the horses in situ and finished smooth. All materials used on this project are original materials such as roman cement. 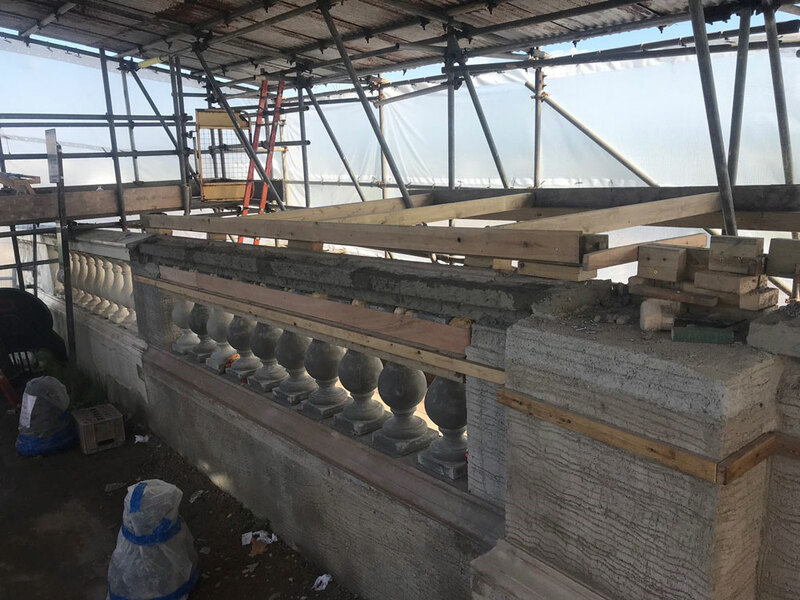 If you have a project such as these Regency Squares in Hove and are looking for a professional plastering and rendering company, then please either call us on 01273 686368 or send us an email to find out how we can help you.